Shoppers at a Speedway gas station in Akron, Ohio, unexpectedly got first row tickets to a wild brawl recently after a group of women turned their anger on a good Samaritan who was attempting to squash a scuffle. 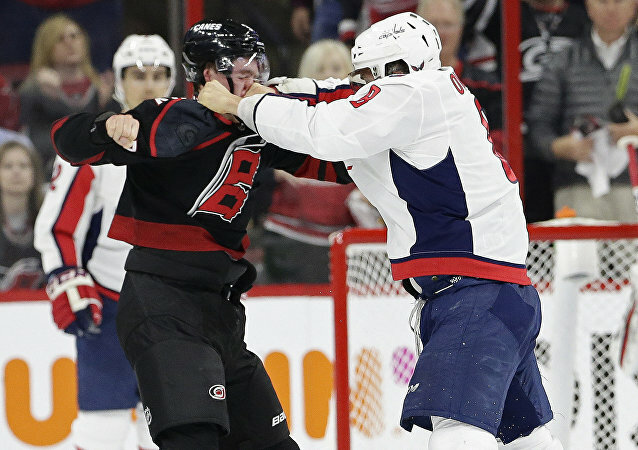 Andrei Svechnikov, a 19-year-old forward for the Carolina Hurricanes, learned a hard lesson this week when he faced off against Washington Capitals star Alex Ovechkin in the barn. The Latin American branch of the International Motorcycling Federation on Sunday handed two riders each two-year suspensions after the pair engaged in a mid-race brawl during a championship event earlier this year. 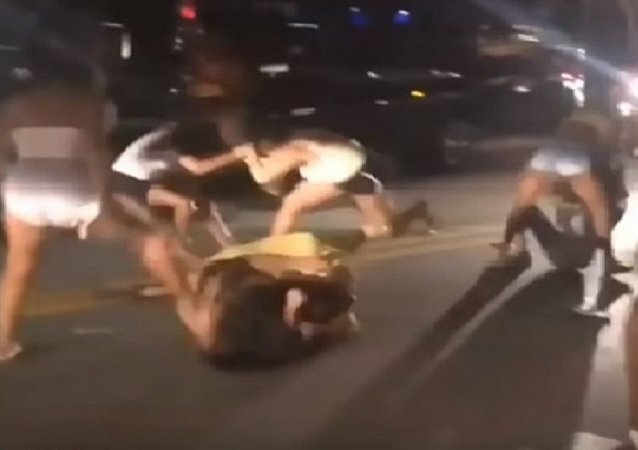 Although there were apparent health risks for those in the epicentre of the street fight, bystanders didn’t deem it right to intervene, but preferred to quickly capture the bikini fight on their smartphones. Pennsylvania's Chester Police Department recently announced an investigation would be launched into a weekend altercation after video footage surfaced showing a responding officer striking a woman with the side of his stun gun. A spokeswoman for Ryanair revealed that two passengers became “disruptive in-flight” and were detained by police when the plane landed. 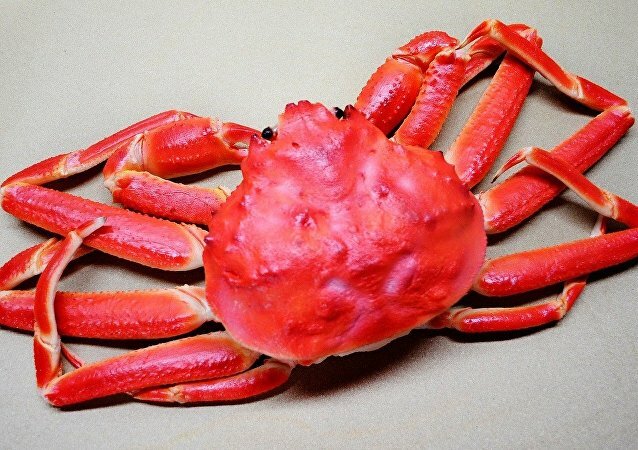 Patrons eagerly awaiting a fresh batch of cooked crab legs at Alabama's Meteor Buffet recently took hangry to a new level after two diners fought over the crustaceans with service tongs. 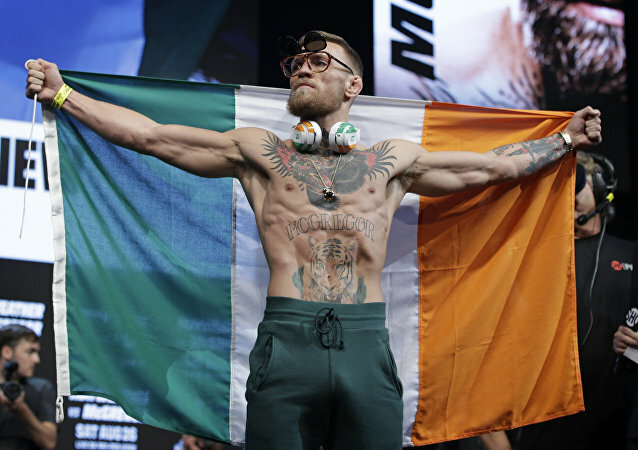 The October fight at T-Mobile Arena in Las Vegas was preceded by months of confrontation between the camps of McGregor and Nurmagomedov and an intense verbal build-up, largely one the part on the Irishman, MMA's king of trash-talk. During the post-match melee, several members of Khabib's entourage climbed inside the Octagon and attacked McGregor. 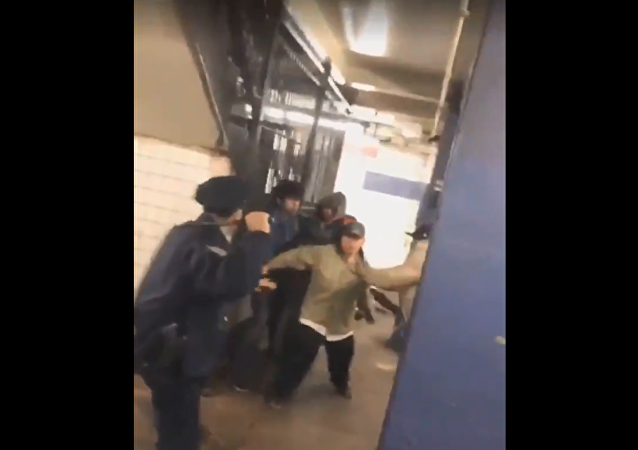 Sayed Ali, an officer with the New York Police Department and a US Army veteran, is being praised this week for the professionalism he exhibited during an incident in which a group of homeless individuals attempted to attack him. A ban on female submariners in the UK was axed in 2011 after a study did not find any evidence supporting previous fears that higher carbon dioxide levels in the vessels could pose risks to women's health. However, it seems that some are still struggling to put up with the new, gender-equal reality. 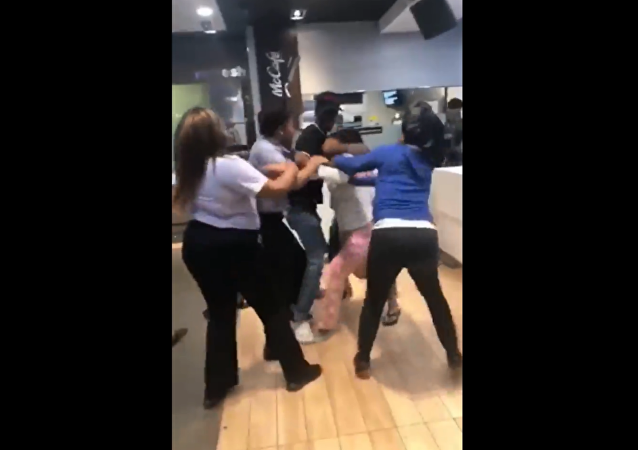 Altercations between McDonald’s employees and customers have become a common phenomenon over the past few months, with videos of the fights going viral in an instant. Video footage of a graduation coach from Georgia's South Atlanta High School was released on Thursday, showing the official pummeling a 17-year-old student moments after the youth tapped him on the shoulder to get his attention. 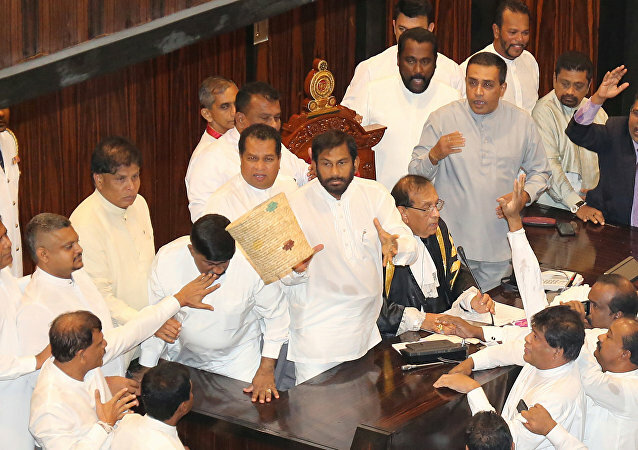 Sri Lanka's parliament descended into madness on Thursday, with punches and projectiles being thrown among legislators as a result of brewing political turmoil over appointing the country's next prime minister. 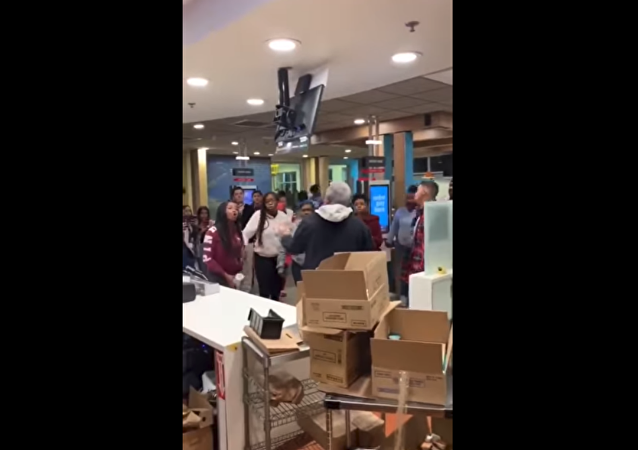 Students from Texas' Clear Brook High School are issuing an apology gift and letter to a local Whataburger restaurant after dozens of students engaged in a massive food fight at the eatery prior during the weekend.